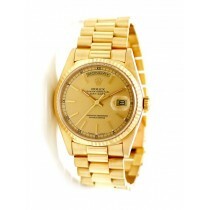 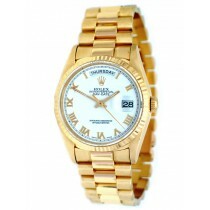 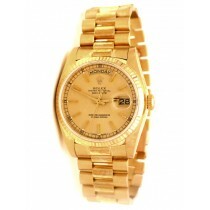 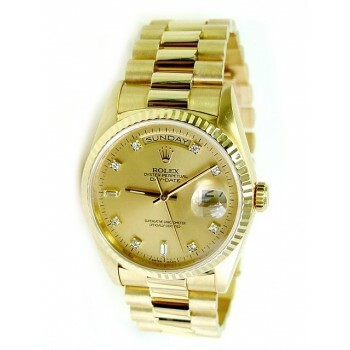 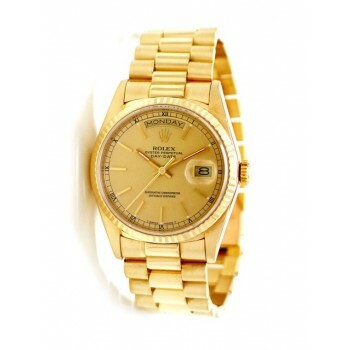 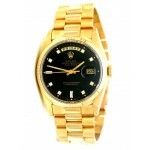 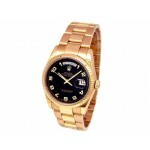 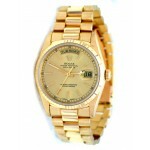 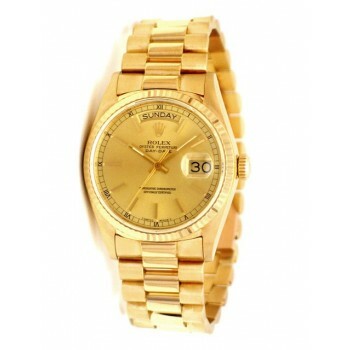 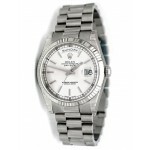 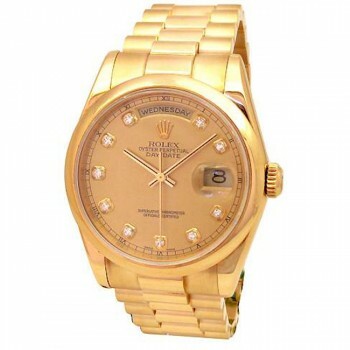 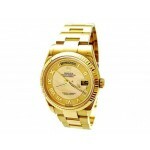 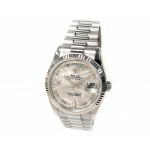 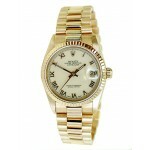 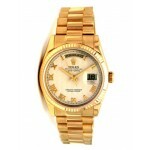 Day-Date Rolex Watches at Watches and Watches. When it debuted in 1956, the Day-Date was the world’s first watch to indicate the day of the week. 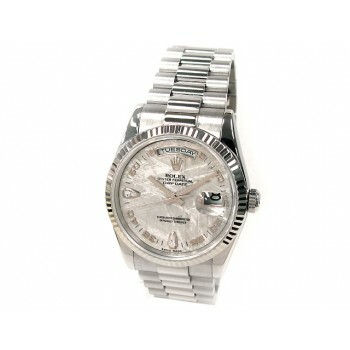 Since then, the once innovative watch has evolved into what is today considered a classic and iconic Rolex timepiece. 36mm Rolex 18k Yellow Gold Daydate Champagne Tapestry 118208. 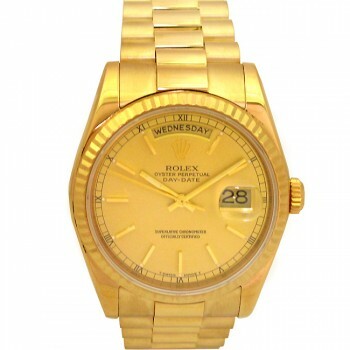 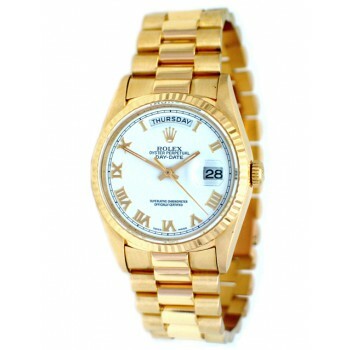 36mm Rolex 18k Yellow Gold Daydate White Roman 118238. 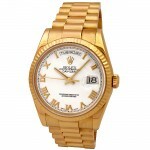 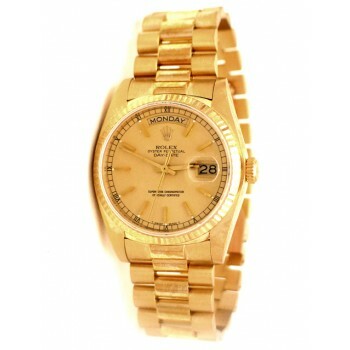 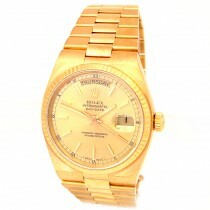 36mm Rolex 18K Yellow Gold Oyster-Quartz Daydate 19018. 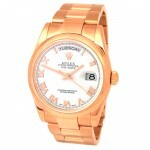 36mm Rolex 18k Rose Gold Daydate Oyster 118205. 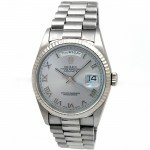 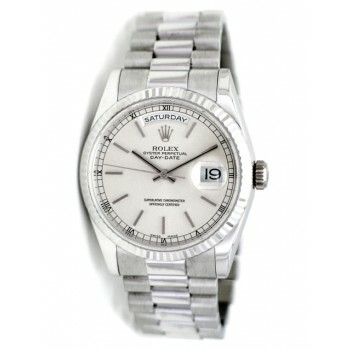 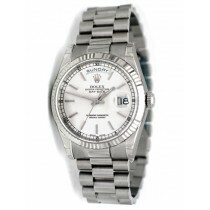 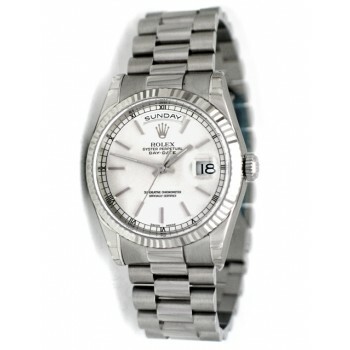 36mm Rolex 18k White Gold Daydate 18239. 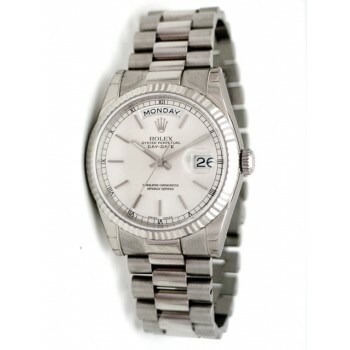 36mm Rolex 18K White Gold Daydate Meteorite Arabic Diamond Dial 118239. 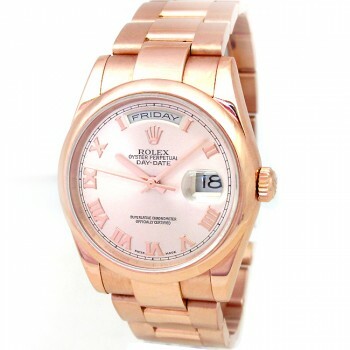 36mm Rolex 18k Rose Gold Daydate 118205. 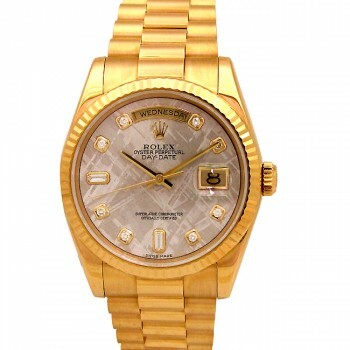 36mm Rolex 18k Yellow Gold Daydate Champagne Mother of Pearl 118238. Launched in 1956, the Rolex Day-Date was the first calendar watch to also feature the day of the week fully spelled out, a true show of innovation for Rolex. 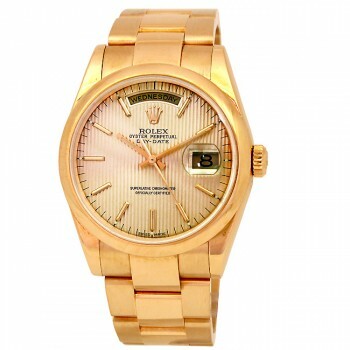 The watch was most famously worn by US President Dwight Eisenhower and has also been worn by many other political leaders since then, including President John F. Kennedy. 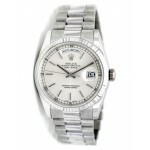 A premium luxury watch with an effortless design that has come to become legendary, the Rolex Day-Date is craftsmanship at its peak.